David Chang has set his sights on the west -- that is, the West Side of Manhattan. Hot on the greasy heels of launching his new spicy fried chicken joint, Fuku, the culinary mastermind is now plotting to expand his food empire to Chelsea; specifically, at Eighth Avenue and 21st St, according to a report by DNAinfo. Chang's business partner has already submitted a liquor license application for the new spot at at 232 Eighth Ave, which will have six tables, a seven-person bar, and almost 70 seats total, according to the report. Momofuku wouldn't reveal any further details about the new project, but did say Chang and team are also planning a new Momofuku Milk Bar location in the neighborhood, according to a report by Eater. 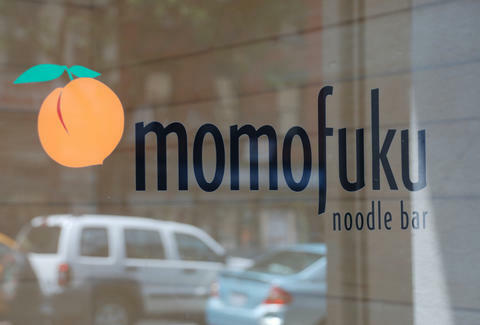 In other words, double Momofuku deliciousness. Tony Merevick is Cities News Editor at Thrillist and just moved out of Chelsea a month ago... Ugg. Send news tips to news@thrillist.com and follow him on Twitter @tonymerevick.